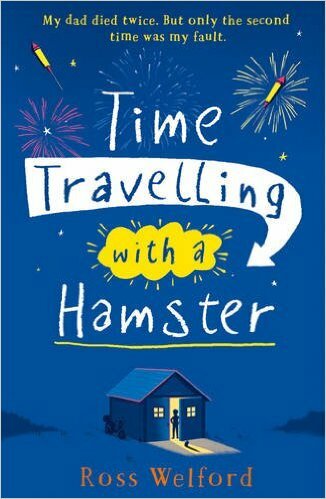 A slight deviation from the usual stuff in this blog entry, which is all about my forthcoming book “Time Travelling WIth A Hamster”. Reason being, that the UK cover is now available for anyone to see on Amazon.com (rather than just being my phone’s screen saver for the past few weeks), and I think it’s brilliant. 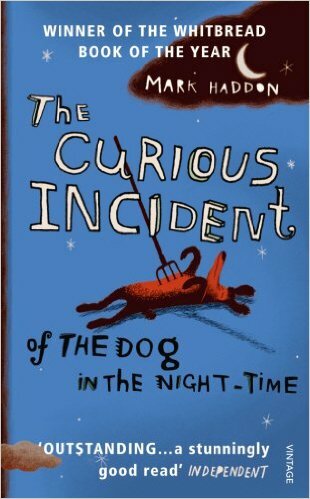 Two people have now mentioned that it reminds them of the cover of “The Curious Incident Of The Dog In The Night-time”. (Naturally, i blush even to have mine mentioned in the same breath, even if it’s got nothing to do with the contents of the book.) I’m not sure if they are alike, but perhaps it’s the white-on-blue thing? Anyway, it’s by a very talented artist called Tom Clohosy Coyle, and you can see more of his work here http://www.tomclohosycole.co.uk. I don’t mean to sound smug or anything, but seeing a book I have written coming together like this has to be one of the most exciting times of my life, up there with getting married, having children and learning to like beer. There is no guarantee, of course, that anyone’s going to buy it, or even like it. But somehow, at the moment, that doesn’t seem to matter so much. This entry was posted on October 25, 2015 at 7:24 pm and is filed under Uncategorized. You can follow any responses to this entry through the RSS 2.0 feed. You can leave a response, or trackback from your own site. Thanks so much for getting back to us. Sam finished the book this morning and he hasn’t stopped talking about it since. He thought it was fantastic and it’s now moved to my ‘to read’ pile too. We can send you a copy of his review if you like, which he’ll be writing for LoveReading4Kids in the next couple of days. I’m so glad it was Cullercoats although it’s making me feel a bit homesick! I grew up in Keswick Drive (my mum and grandparents moved there when my mum was 11 and when she got married she bought the house next door and is still there now) and my aunty/uncle/cousins are on Hartington Road so we are very firmly rooted in Cullercoats. I’m 46 now and I went to Monkhouse/Marden High/Tynemouth 6th Form (just in case you were there at the same time) and when I was young we always used to sit directly under the spire of St Georges Church when we went to the beach after school for our tea – in case we got lost! It’s a small world as they say. Thanks so much for a fantastic story and for bring Cullercoats into the literary limelight! Sarah and Sam. Thanks so much for all the info, it’s made the story even more special for us. The Parkers live opposite ‘us’, in fact I was chatting to them when I was last home earlier this year. Well, well! Thanks again for all the info and we’ll be looking out for your next book! Sarah. Hi Ross, just started reading your book this afternoon and straight away had to google to see if there was such a place as Culvercot and got directed to this page! Thought it might be Cullercoats after reading about Blyth and Seaton Sluice! I live in Bedlington but work in Gosforth East middle school which you are visiting next Thursday, so doing my homework! Wish homework was this enjoyable when I was at school! Only just got to chapter 10 but really loving it! Looking forward to your visit and I know our pupils will your book! Hi Susan – you are right: Culvercot is a fictionalised version of Cullercoats. I hope you enjoy the rest of the book, and I’m looking forward to the school visit on Thursday!